When I do a club ride it is with either the Northshore Cyclists, the Charles River Wheelman or the Nashoba Valley Pedalers. 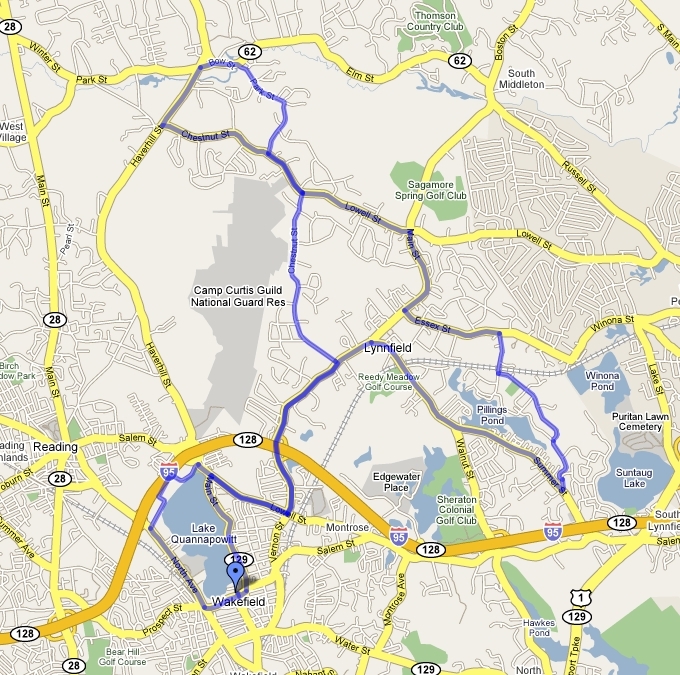 I do the Thursday night fitness ride with the Northshore Cyclists. On Sundays I ride with either the Northshore Cyclists or the Charles River Wheelman. In September I like to do the century with the Nashoba Valley Pedalers. Only do rides where the distance is greater than 25 miles. Real bikers ride to the ride. Rte 128 to Exit 40. Follow Rte 129 south (Wakefield) to the south end of the lake. Meet at or near the gazebo. This ride consists of four loops --- 25, 50, 62, 100. The basic route has been the same for the past 20 years. The map and cuesheet from Fall 1992 is located here (2.2MB) During the week I will do the 25 mile loop. I try to get in two long loops each weekend during the summer and fall. Sometimes I do a 38 mile option to the Wakefield Century. 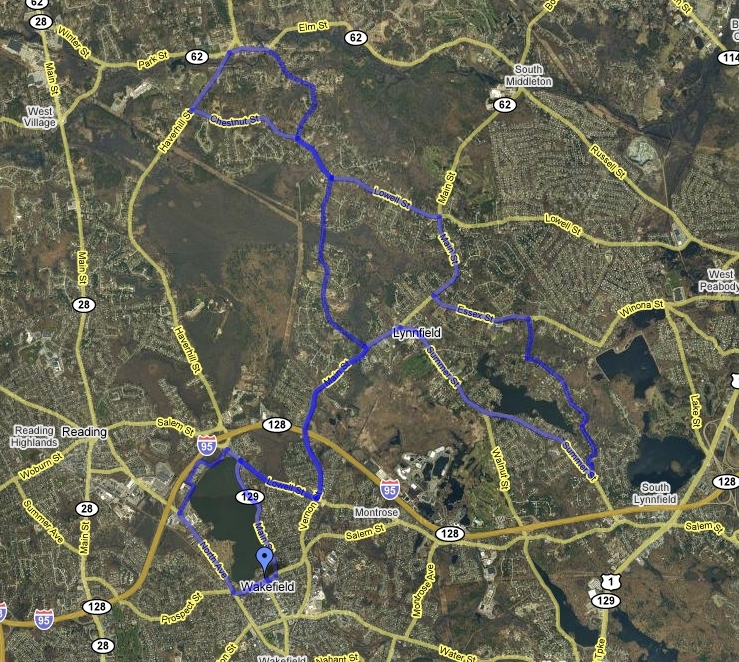 The google map for my 38 mile loop is here. This year the NVP Fall Century is on ?? September 2009. Since the majority of bicycles use Shimano commponents the only difference between the brands is the frame and the service. The Cannondale bicycles with aluminum frames are a very good value. The frame has a lifetime warranty and makes for a bicycle that costs much less than a carbon fiber frame. The aluminum frame is a stiffer ride (which I prefer). Unfortunately a number of local bike shops (on the Northshore) have closed. REI (Reading) has good mechanics. Cycle Loft (Burlington) has good mechanics. I have not had a bicycle serviced at Harris Cyclery (Newton) but the people there seem quite knowledgable. Sheldon Brown is Captain Bike. Detailed answers to ALL of your bicycle questions are here.